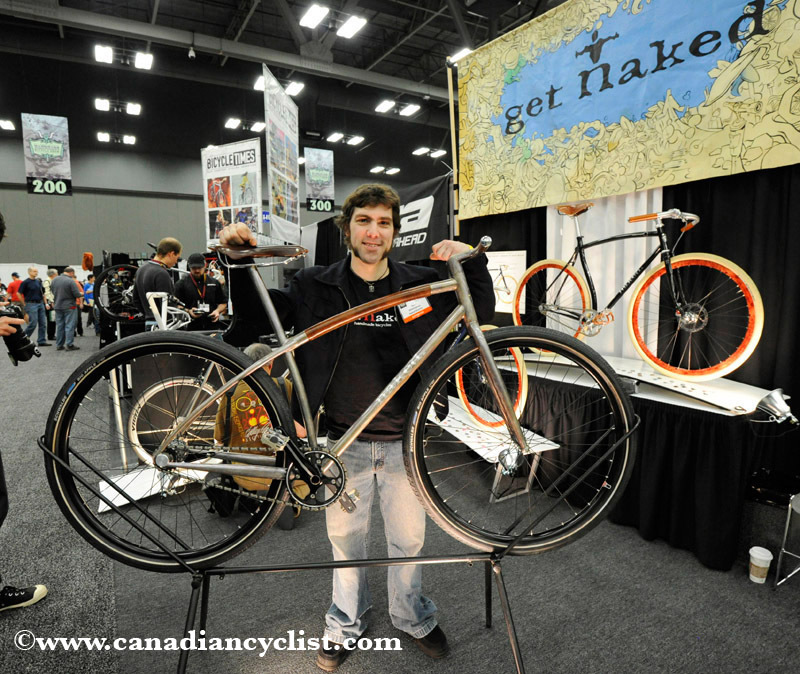 The 2011 edition of the North American Handmade Bicycle Show (NAHBS) continues today and Sunday. On Day 2 Canadian Cyclist took a further turn around the show, and a gallery of photos can be viewed here. We also interviewed two of the Canadians participating in the show - Sam Whittingham of Naked Bicycles and Pat McGibbon of Pac Designs. Sam Whittingham may be best known for selling one of his custom jewels to Lance Armstrong and for holding the human powered world speed record. However, he has been building bikes for over 15 years, and is one of the most innovative bike designers out there. Fifteen years ago, in our first 'Made in Canada' issue, highlighting Canadian bike-related companies, we featured Pat and here messenger bags. Pat has not stopped since then, and sells her bags all over the world, including Japan and Europe.